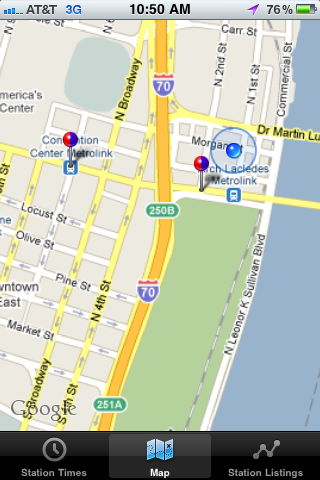 Wash U Lecturer Creates iPhone App for MetroLink – FREE This Week! After Washington University lecturer Todd Sproull created an iPhone app for MetroLink timetables and station info, one of the first things he did was call Metro Customer Service and let them know about the app and that he was giving it away for free for a limited time. He offered the app for free in its first week of release, but has extended the offer to get more MetroLink riders to try it out. The app is relatively simple. 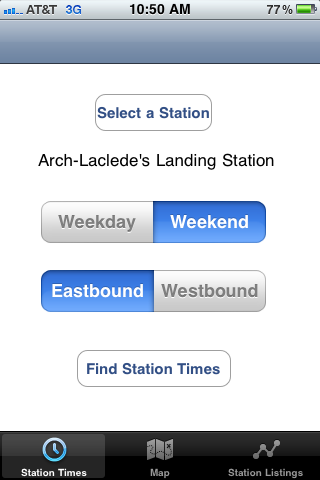 It provides the user three interactive options: First, choose from a scrolling list of MetroLink stations. Then, choose Weekday or Weekend, and Eastbound or Westbound. The app then pulls up a schedule of train arrival times. It also provides a schematic map of the MetroLink stations and lines, and a Google Map that shows where each station is located. It’s a quick and easy-to-use tool for traveling on MetroLink. 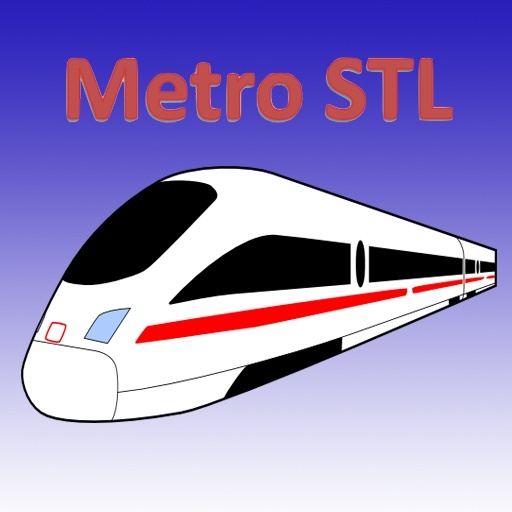 To download the Metro STL app free from Radiant apps, click here. Sproull currently teaches app-development courses at Washington University, where he earned his Ph.D. in Computer Engineering. During that time, he often took the train, reading an ebook on his iPhone while he rode. Right now, Sproull does not have a version for Blackberry or Android. But hopefully his students will be inspired by their professor and develop more apps to make taking transit easier in St. Louis. Wow, this app is great — I’m glad I was able to get it when it was free but would have paid for it if it wasn’t because it’s so useful. Definitely a ‘must-have’ resource for any MetroLink Rider! AWESOME!!! This app is great. I will never miss the Metrolink again. A must have if you ever need to catch the metro. Nice. 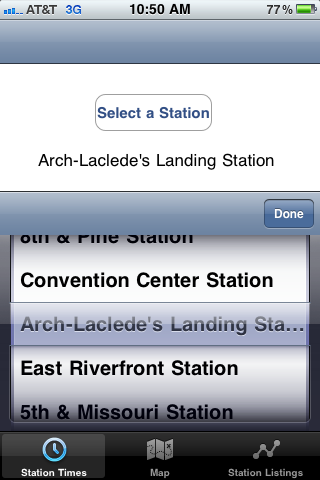 Glad to see MetroLink getting a little “app love”. Only request to the professor would be to add the bus routes to this as well – perhaps a class project? How about some Android love? Todd said that he’s worked with Android a little bit, but not as much as Apple. Maybe an Android developer out there would like to give it a try? Alas, I cannot use the app. My iPod Touch is an older one, and not compatible with Apple’s new iPod/iPhone OS – which this app needs. I do think its a good idea, though.